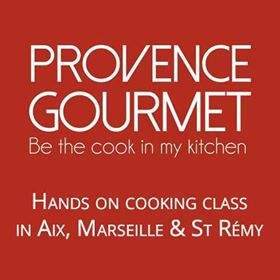 Well, there hasn’t been a “market of the month” for quite some time – mainly because I think we’ve visited almost all the markets near us and we have our favorites that we go back to time and again (I’m talking about you fabulous Sanary-sur-Mer & Aix-en-Provence ). 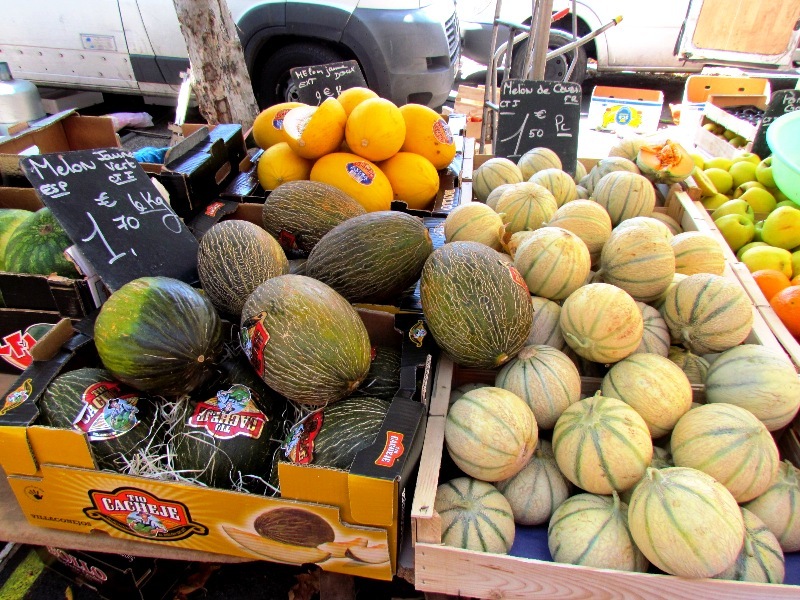 So, it was with great anticipation that we hit the road for Arles to check out the Saturday-morning market which I’d read, on several blogs & travel websites, was one of the best in Provence. And let me just say that I had a real “coup de coeur” as they say in French… basically, I fell in love. The Arles market is indeed amazing and very, very big. It stretches for 2 kilometers along Boulevard des Lices and is the star attraction of a busy Saturday morning. From towels, to tablecloths, to dresses, purses and all other clothes-stuffs in between, the market was abuzz with locals and a sizable tourist crowd. And for diehard Provençal cooks, and those with small aspirations to someday be one, the market is a feast for the senses. 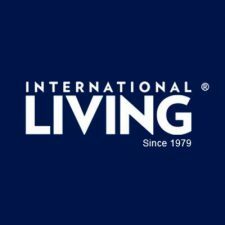 As you pass through the household goods, you’ll find aisle after aisle of fresh fruits, vegetables, and herbs – not to mention the cheese stands, bread-makers, macarons, and pastry cases. If you’re traveling, or simply want a quick lunch in the park, you can also pick up some paëlla, roasted chicken, or a few slices of salami for an impromptu picnic – which is good advice for our next visit as we were able to nicely “supplement” the picnic basket we lugged from home. 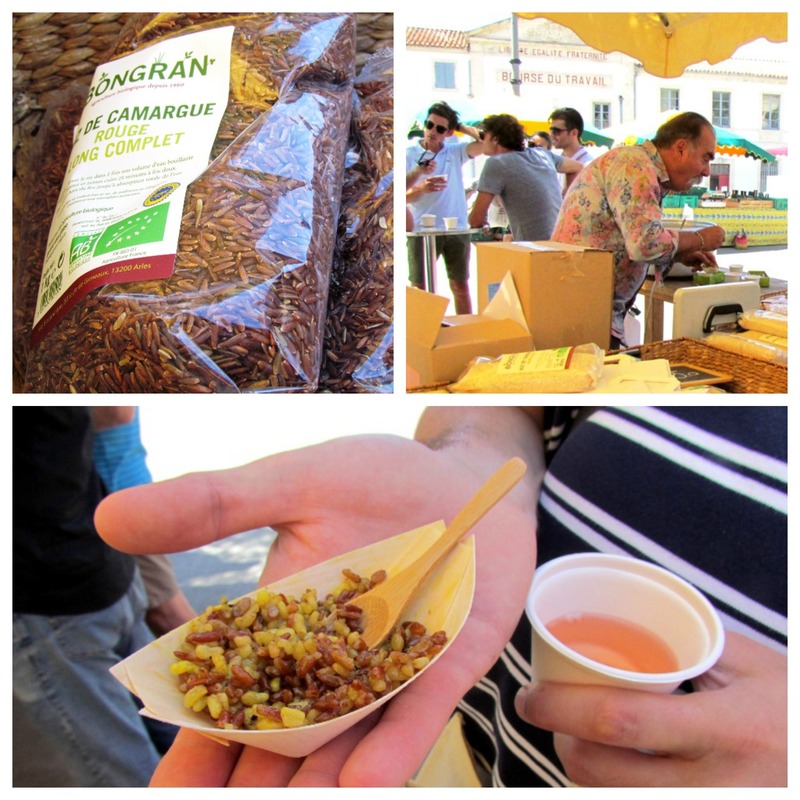 Along with some samples we picked up along the way – namely a “boat” of rice from the Camargue and a tiny cup of Rosé wine (way cool!) – we ate very well that day… for very little. After reading Sue’s article from a few weeks back, we were really inspired to visit Arles and definitely weren’t disappointed. Following our picnic in the park, we made a quick stop at the tourist office, picked up a free map, and did our own “walking tour” of the city. In the center of town, Boulevard des Lices. Saturday mornings- the market ends about 12:45 ish (the last folks are packing up!). There is also a Wednesday market on Boulevard Emile Combes. 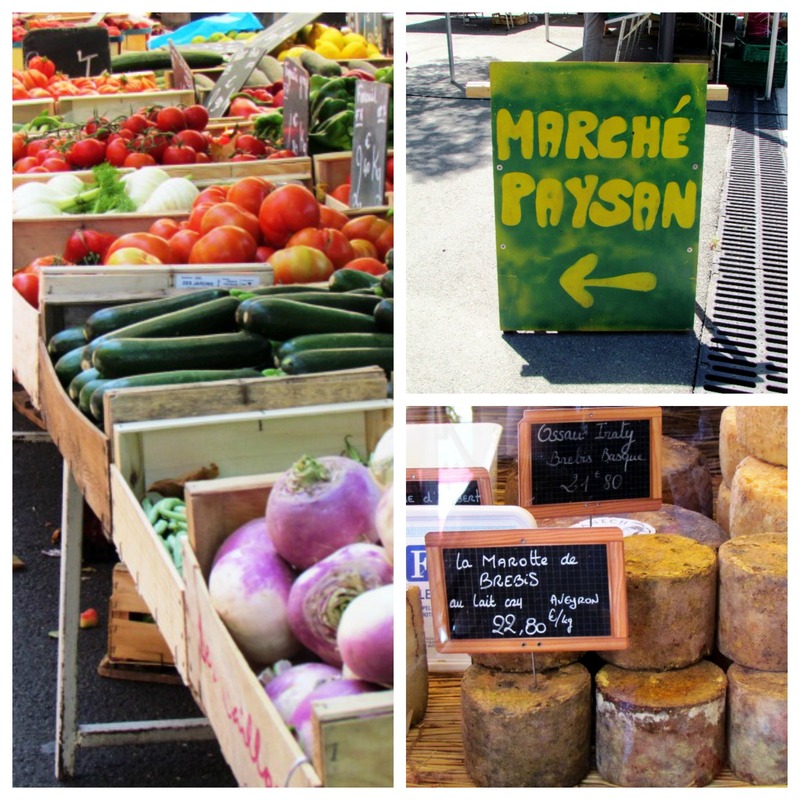 Don’t miss the “marché paysan” – the market of local producers and where we picked up our Camargue rice samples. 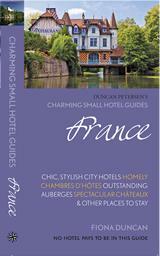 The tourist office is also a great place to start your day – pick up a map and head for the famous “arena”. Also, see Sue’s post for restaurant recommendations and things to do around town. Aahhhh looks great ! Hubby and I had a week in St Remy last year, and the day we put aside to go adventuring in Arles, was the day the bus decided not to come 😦 Was disappointed , but now I see why it happened…we HAVE to go back …. on a SATURDAY! Sounds fab! Nice piece Tuula! Unfortunately I wasn’t in Arles on a Saturday so I missed the market – one for next time perhaps. Going here in a few weeks! Can’t wait!